A former employee of the Edmonton Police Service says racist behaviour of her colleagues and her boss forced her from her job. 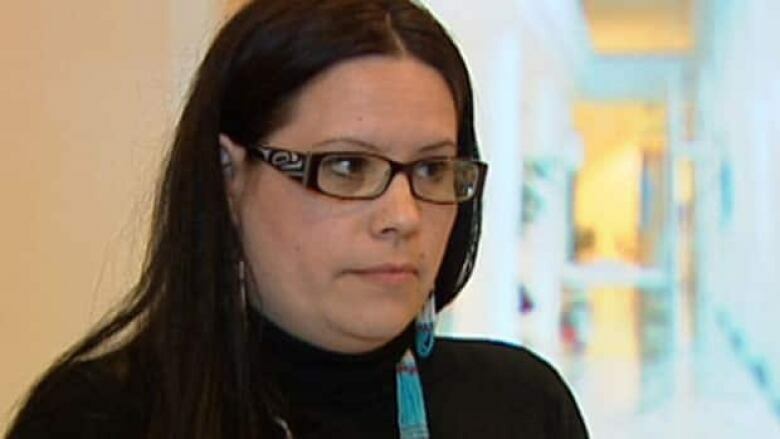 "I was told by my sergeant within the victim services unit to be less aboriginal at work," Kathleen Sawdo told a shocked Edmonton police commission Thursday night. "I was told that my appearance, photos of my children and regalia at my desk — a blade of sweetgrass and a bough of cedar in my office — was culturally aggressive, assertive and obtrusive and I was told my co-workers in the unit found all this to be offensive." Sawdo was a civilian employee in the victim services unit at the time. She complained about the reprimand, but no one was disciplined, she said. Instead she was isolated from her team and forced to leave the southeast division and work at headquarters downtown. "I went to work everyday in fear, with no support," Sawdo said. A promised cultural sensitivity session was never held, she said. She was bullied by her co-workers to the point she quit in March 2011 after almost one year on the job. Sawdo also accused her colleagues and bosses in victim services of failing to engage or support the aboriginal community in the city. Although most of her clients were aboriginal, she was dissuaded from helping them, she said. "Given the attitude and behaviour of victim services employees, very few received the support they deserved and are entitled to," she told the commission. "I had to sit there and listen to victim advocates take a look at the name 'Cardinal' and say, 'No, they're aboriginal,'... and refuse to send out a victim impact statement," Sawdo said. "I'm sorry, I'm ashamed," she told commission members. "I'm ashamed of your service and that needs to be fixed." Edmonton Police Chief Rod Knecht said he will meet with Sawdo and look into the complaint. "I was disappointed absolutely, but again, I want to know all the facts," he said. Sawdo said she has also taken her complaint to the Alberta Human Rights Commission.